Whether you enjoy cooking with your family in our well-appointed kitchen, tossing the Frisbee on the beautifully landscaped front lawn or snuggling in front of the fireplace with a good book, this large estate offers peace and solitude so that you can focus on what's important to you. 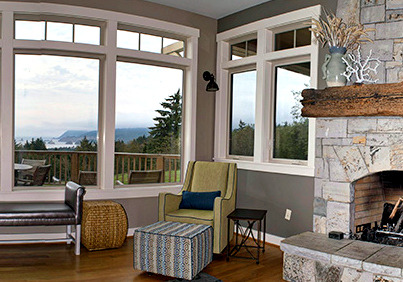 Perched high on a hill overlooking some of the most scenic geography in the Pacific Northwest you will enjoy panoramic ocean vistas from every room in the house. 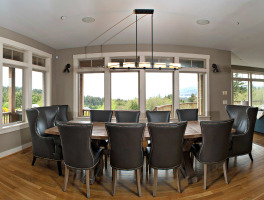 With its open floor plan this 4,500 square foot luxury vacation rental is the perfect place for hosting family reunions and small business retreats. 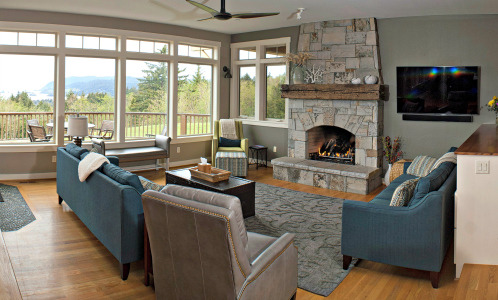 The living room features a beautiful remote control stone gas fireplace with built-in bookcases. 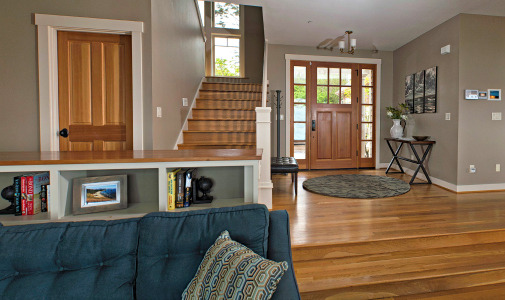 French doors off of the living room lead to a large deck spanning the entire west side of the house. Upstairs there is a spacious den with a second gas fireplace, flat-screen TV, vaulted ceilings, queen-sized sofa sleeper and a beautiful west facing wall of windows. 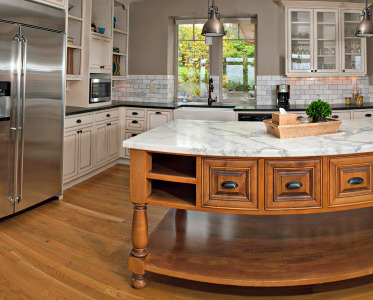 Steps from the living room, the kitchen features custom cabinetry, a large marble-topped center island, stainless steel appliances and every cooking tool needed to impress your guests with a gourmet meal. There is a master suite on each floor. The main floor master features a king-sized bed, gas fireplace, private deck, air tub and separate shower. 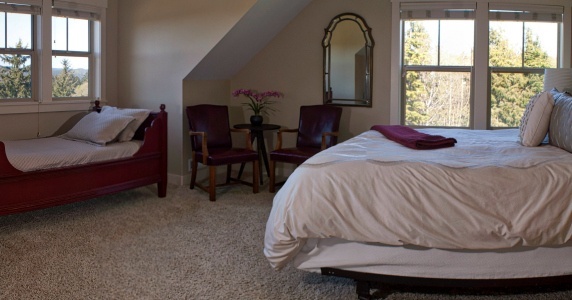 The upstairs master has a king-sized bed, twin day bed, soaking tub with a separate shower. 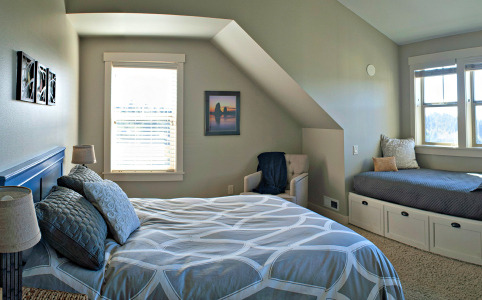 Two additional upstairs bedrooms share a bath with a tub/shower and each have queen-sized beds along with twin beds that are built into two of the house's dormers. There is also a large living space above the attached garage, which has been designated by former guests as the 'kid zone'. It features a full bathroom, four twin beds, a queen-sized sofa sleeper as well as plenty of space for kids to be kids. In addition we have portable cribs and playpens. As you can see this home has been furnished so that families with children can sleep close if needed or have their own space if that's what they desire. All of the bedrooms are very nicely sized with large walk-in closets. We look forward to hosting your future stay and are confident you will leave with lasting memories of wonderful moments spent with family and friends.